Lao PDR enjoys a rich aquatic biodiversity, with rice fields acting as an environment that is home to an impressive diversity of aquatic organisms. The aquatic animals and plants that thrive in these rice fields are key to the nutritional and food security needs of Lao’s people, particularly in rural areas. Aquatic animals present in these rice fields and consumed by the local people include not only fish, but also frogs, eels, snails, crabs and aquatic insects. Studies conducted over the past decade consistently illustrate that the wide array of food produced in these rice fields are key sources of animal protein and micronutrients for many rural dwellers, and especially important to meet the nutritional requirements and development needs of pregnant women and children. 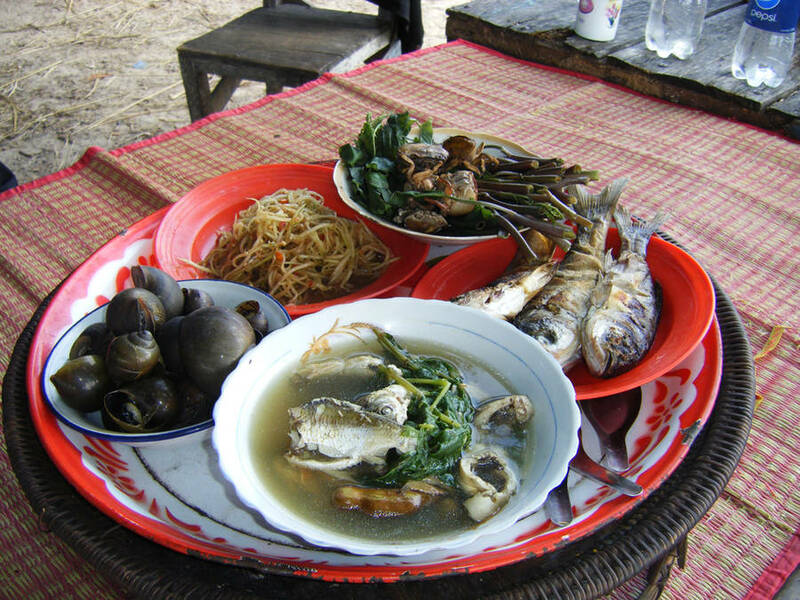 One study in Lao PDR’s Savannakhet Province illustrated that some families’ daily consumption reached three kilogrammes of aquatic animals and plants harvested each day from their rice fields. The data from this study also showed that aquatic animals such as frogs, snails, shrimps, crabs and insects are as important to local food security as the fish also harvested from the ponds. Even though harvesting of these aquatic animals is highest during the rainy season, through various methods of preservation, these resources continue to make an important contribution to rural families’ food security throughout the year. Nevertheless, these studies also indicated that knowledge was lacking among rural farmers in Lao PDR that would allow them to more fully develop the potential of these rice paddies to farm aquatic animals. And intensification of these rice-fish fields can be financially and technically out of reach for many of these rural communities. Alternate strategies that are more in keeping with the capabilities and available resources of these rural communities also exist, and FAO began working with extension officers and pilot communities to strengthen technical understanding of how to intensify these integrated farming and fish farming techniques in a sustainable manner in these communities. 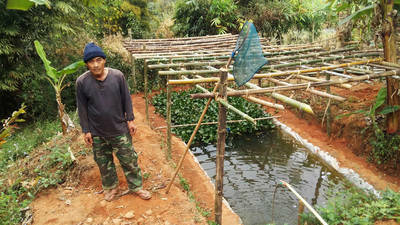 One of the aquaculture-agriculture strategies developed by farmers working on these pilot projects included the construction of a small, plastic-lined earth pond that can be built locally. These crafted ponds can be used by farmers to intensify segments of their rice-fish culture system. The pond is small enough to be dug by hand, yet not large enough to grow substantial quantities of fish. It primarily allows farmers to nurse seed fish that can be used as a source of food during dry seasons when food is often scarce in these communities. 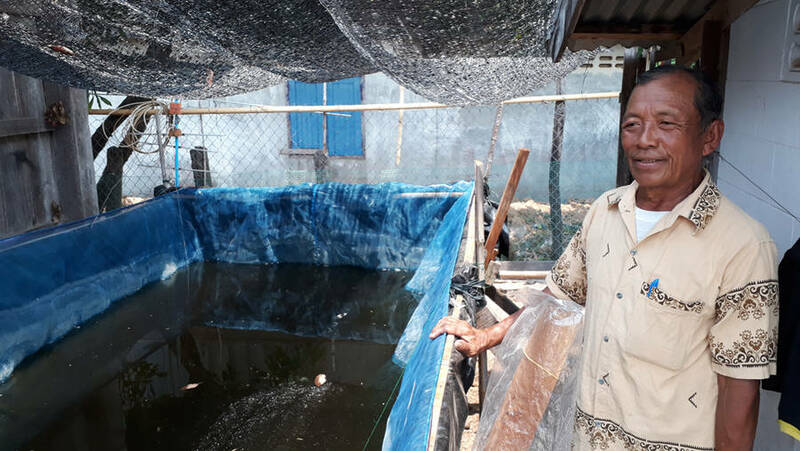 Most of the farmers participating in these trials produced fish seed (young tilapia), which are primarily used for stocking rice fields and small ponds, but some of those were sold to other farmers. 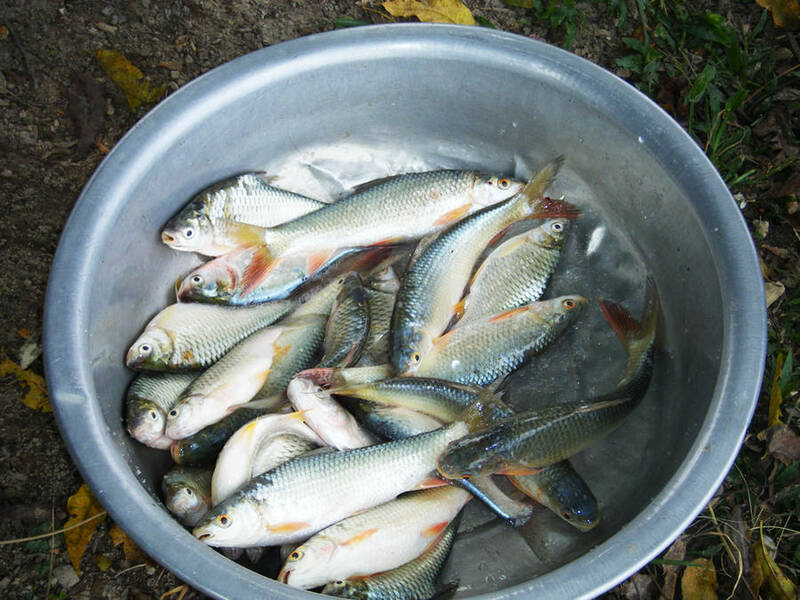 During 2016, 28 families produced a total of 68 000 seed fish. In 2017, 30 families produced a total of 102 000 seed fish. 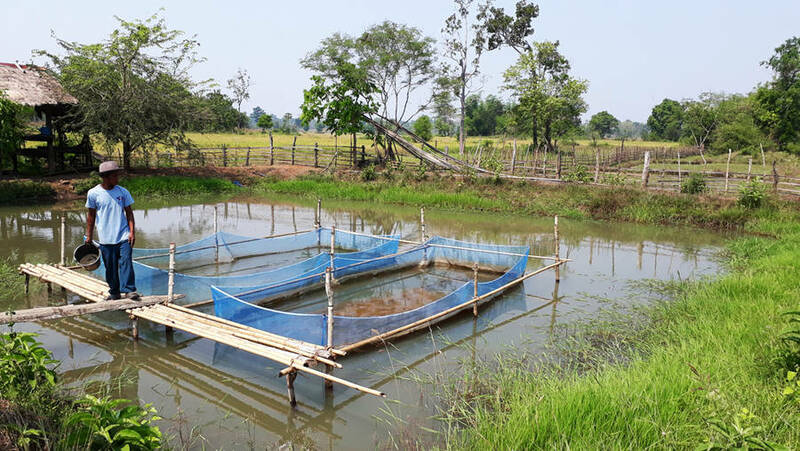 The limited availability of seed fish is a major constraint to the development of aquaculture and rice-fish culture in Lao PDR, so the community contributes towards sustainable, integrated agriculture-aquaculture systems. And farmers are enthusiastic about their experience working alongside FAO and national extension officers to improve and intensify their agriculture-aquaculture farmlands, “Working with this project has given me more confidence to try new farming activities and better use resources on my farm,” according to Mr Bounlom Phanthavong of Savannakhet Province. “Before, I didn’t know where to start to make my rice fields more productive. Now I am selling small seed fish to other farmers and many people come to see me to ask questions [about rice-fish farming]. I want to teach other farmers and help them develop their rice fields”. Fish raised in the rice fields. 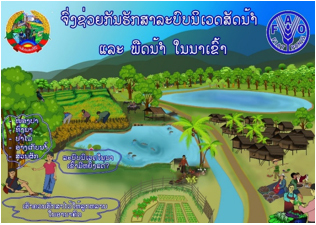 Sustainable, integrated farming and aquaculture benefits food and nutrition security in rural communities in Lao PDR. This farmer proudly displays his new, crafted fish tank. These tanks can be manufactured locally and used by farmers to intensify segments of their rice-fish culture system. 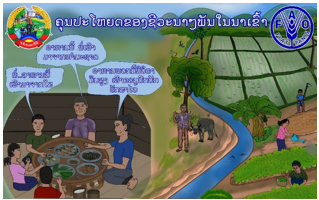 One study in Lao PDR’s Savannakhet Province illustrated that some families’ daily consumption reached three kilogrammes of aquatic animals and plants harvested each day from their rice fields. These sources of protein, vitamins and nutrients make a real difference to the lives of rural families. FAO was particularly pleased that this pilot project was developed in a participatory manner, not for farmers but with farmers. 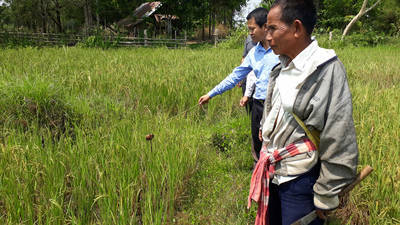 FAO hopes to keep working with Lao PDR to expand these activities for the benefit of rural communities.